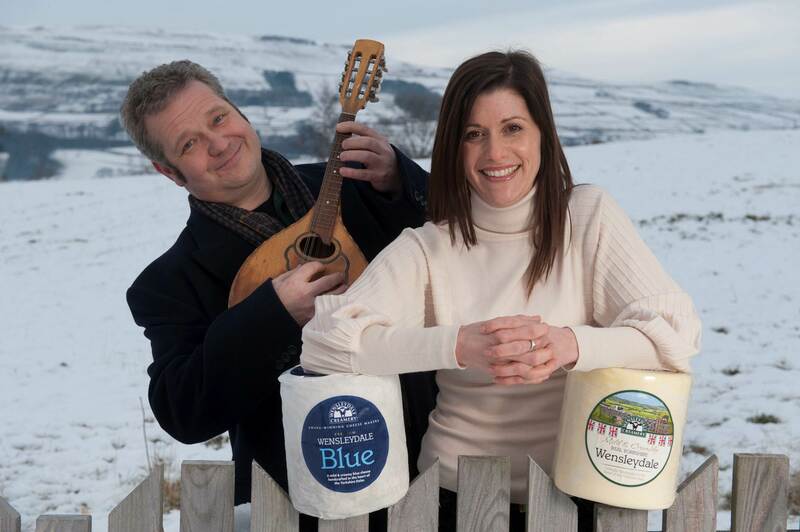 The Wensleydale Creamery, producers of the famous Real Yorkshire Wensleydale Cheese, has signed a three-year sponsorship deal to support the annual Swaledale Festival, which is set to run from 25 May to 8 June 2013 this year. The Swaledale Festival features classical, choral, jazz, folk and world music in intimate venues across the Dales, along with poetry, drama, comedy, art exhibitions and guided walks. Towns and villages around Swaledale, Arkengarthdale and home of the Creamery, Wensleydale, will host dozens of events this summer, with artists including a BBC Young Musician of the Year Finalist, classical guitar giant John Williams, Northern Sinfonia, comedian Barry Cryer, poet Roger McGough and the popular Leyland Band. Housed in some of the finest Dales architecture, there is no better place to enjoy the arts than the beautiful Yorkshire Dales landscape. Based at Hawes, in the heart of the Yorkshire Dales, the Wensleydale Creamery is dedicated to supporting the local community and economy. The Swaledale Festival is set to attract £350,000 of direct economic benefit into the Northern Dales and bring 7,000 festival-goers to the region this summer. Following the success of last year, The Wensleydale Creamery will sponsor the Festival again this spring, in a joint celebration of the Dales. Furthermore, The Creamery will specifically support a performance of William Walton’s Façade, given by the instrumental ensemble Contraband conducted by Graham Coatman, and featuring a group of 30 local children drawn from Askrigg and Bainbridge Schools and Richmond Youth Theatre. This performance will celebrate Wensleydale’s talented young artists who will take part in extracurricular workshops outside of school and sixth form. This project offers local children an introduction to 1920s music, art and fashion, the opportunity to work with professional musicians, the chance to develop a range of performance skills and the unique experience of performing to a live audience in a professional arena. A Wensleydale Façade will take place at St Andrew’s Church in Aysgarth on Friday 7th June at 8pm. Sandra Bell, Marketing Managing of The Wensleydale Creamery, said: “We are proud supporters of the Swaledale Festival and are very excited to work with Malcolm and the team. Our commitment to sponsoring the festival for the next three years aims to help this fantastic cultural event continue and encourage visitors to enjoy everything the area has to offer for years to come.